Dear Fabulous fans, as you may have guessed from my other social media postings the countdown has begun for the BIG race the Solitaire! 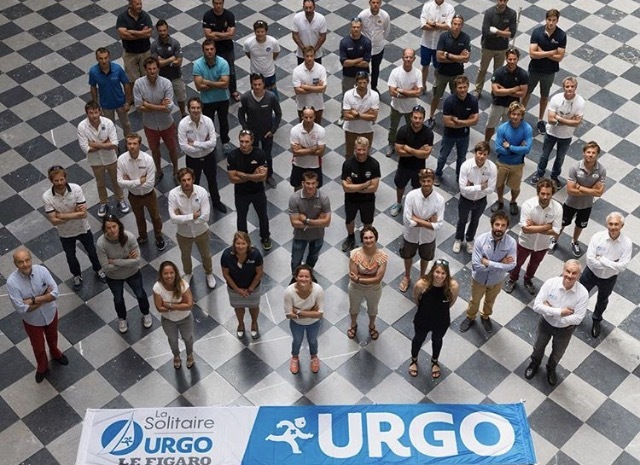 We have been very busy at the Offshore Academy, especially our fabulous Figaro boat captain Joan, who has worked tirelessly to ensure we are where we are today and in Bordeaux, in the last week, counting down to the start. 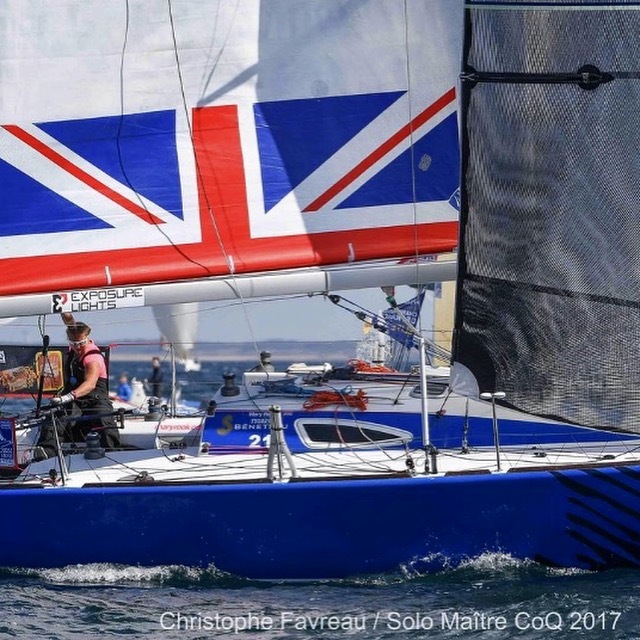 I must apologise for my lack of update from the last race the Maitre Coq that started from the nautically famous location of Les Sables d’olonne and was our last race on the run up to the big one. 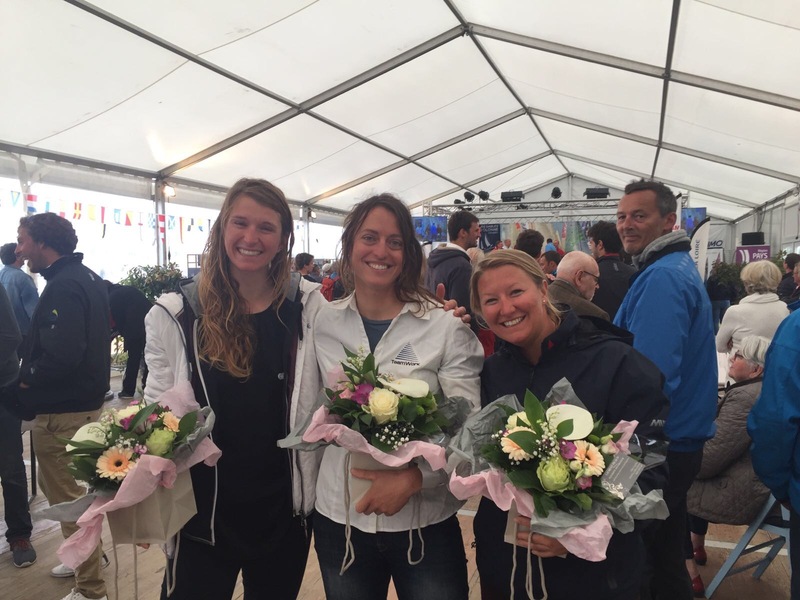 I shall give you a brief synopsis of the highlights and low-lights of the regatta! 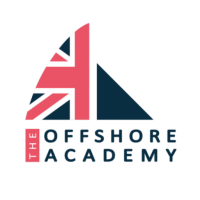 There were two days of Inshore racing before we started the major event of the offshore. The first day was unexpectedly windy, a good old 20 knots straight off the land was awaiting us from in big nasty squalls and from many different directions. My first race was pretty average, the course provided plenty of challenges with tight reaching along the rocks, reach to reach gybing always a pleasure when single handed, and plenty of sweaty breathless mark roundings. 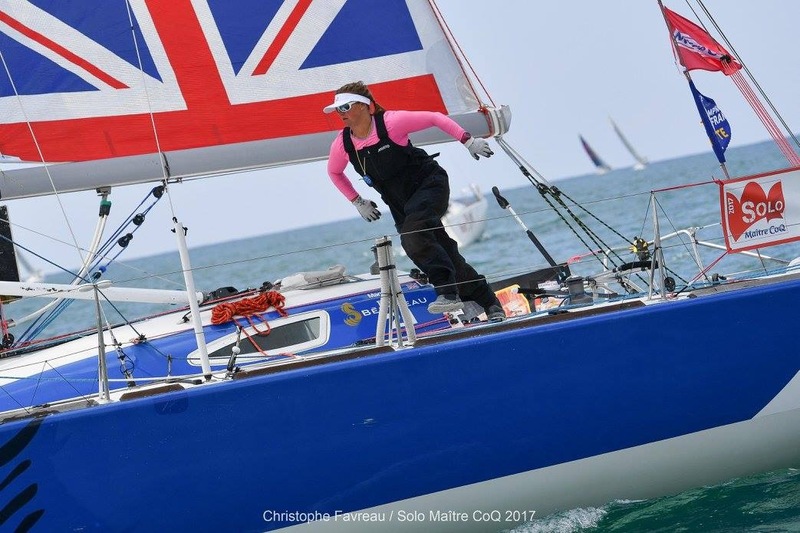 However, the second race the wind started to die creating lots of challenges with big shifts and crazy wind but by the end I had battled up to the top 15 and went ashore feeling content with my days work. – Back at the apartment showered, PJ’s on, cup of tea in hand, I get a call from coach Nicolas Cherry, the blinking jury have protested me for ‘hitting a mark’ I am very confused and adamant that I hadn’t been near any marks today. Upset and disgruntled I get out of my PJ’s and walk down to the club again for my ‘hearing’. Inside the protest committee was comprised entirely of French only speaking jury members who managed to put the wrong sail number on the protest form and then said I had hit the second mark on the second race with my spinnaker. I remembered this mark well as it was the gybe mark and there was a boat that pushed in between me and the mark. 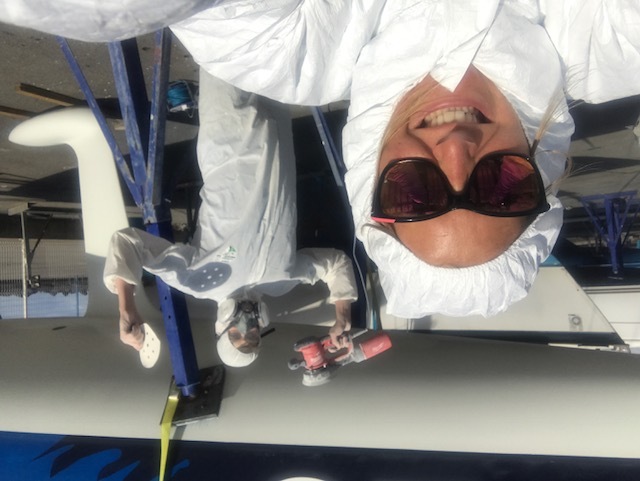 There was no point in trying to get in there as I had to do a gybe and it was going to be better for me to do this successfully, than do a hand break turn around the corner with the spinnaker shrink wrapping the boat. There was nothing I could do, the protest committee couldn’t understand what I was saying and they didn’t care as they were sure I had hit the mark with a small section of my spinnaker and disqualified me for the whole 4 hour long race. I was distraught and returned home fuming with the ridiculousness of it all. 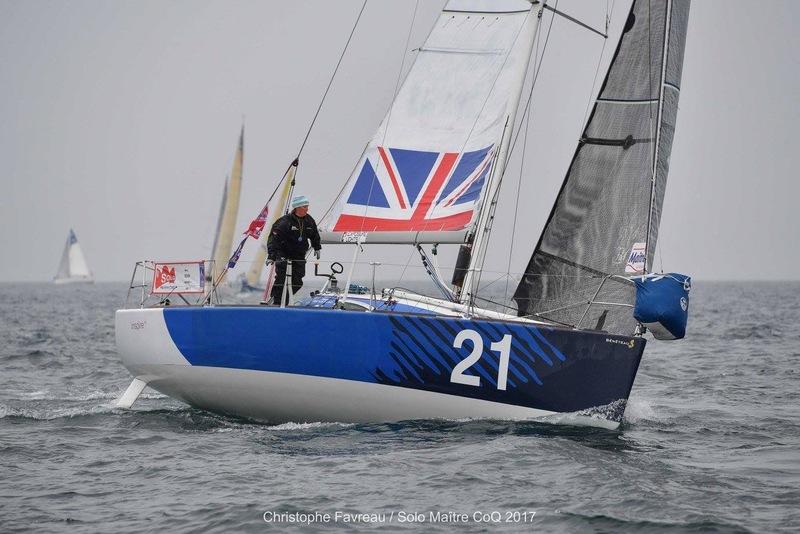 Inshore racing day 2, was really really windy, wet and grey and I got an excellent start and held my position despite various two sail reaching legs (previously a rather big weakness) finishing 18th and finally got my top 20 result. Then whilst waiting in between races the wind got up to 30 knots and eventually the committee decided to send us in but not before several interesting pre start manouverings and getting air off some pretty enormous waves. 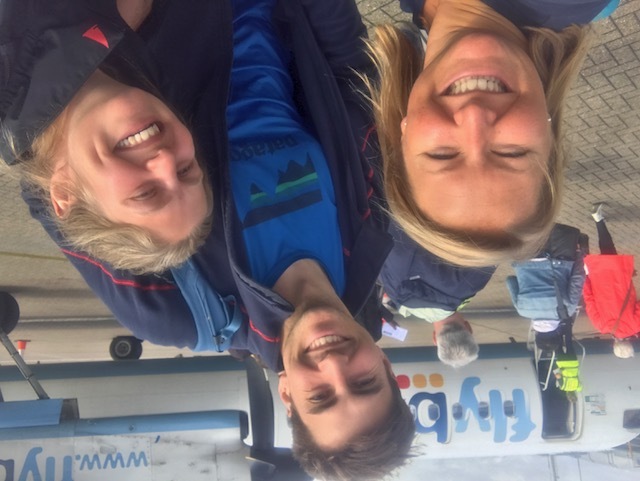 We then had one day of anxious waiting for the big race to start, allowing for the muscles to recover, to stuff our faces, study the charts and predicted weather for the best routings. The big race started with the sun shining and a nice light, sub ballast pumping conditions (my fave). I sneak off the line and straight into the first shift and several dozen tacks later were at the first mark and I’m in the top group. 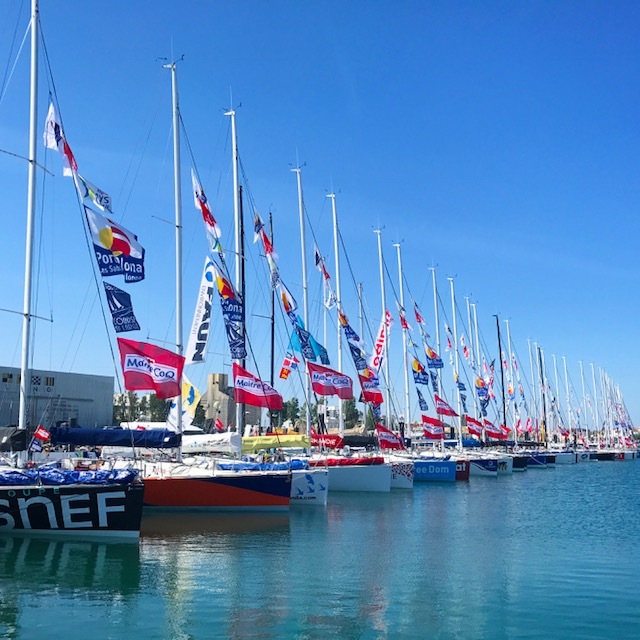 As the race progresses and we hustled for position with spinnakers flying we sailed the long downwind towards La Rochelle and I reach a glorious 4th position and stay in it. Fending off French men left, right and centre. I pull off possibly THE best boat handling manoeuvre of my life. At the bridge about to pass the rounding mark and head up around the island and a particularly pesky French man who shall not be named, decided now is the moment to overtake me and get inside at the mark. No no no, not today I think and perhaps a few other slightly more expressive words came to mind, and I manage to luff him onto a reach and then do a double gybe drop all before rounding the mark, keeping the kite flying, pushing him into the pack behind but whilst allowing myself to take a few more boat lengths. Not sure I should ever try to replicate this again but now I know I have achieved single handed boat handling greatness! We then battled into the evening tacking up the shore of the Rae island by this time it was exceptionally windy a yucky 25 knots and choppy with the tide against us, requiring plenty more dozens of tacks, everyone inching closer and closer to the beach for the tidal gain but potential catastrophe. 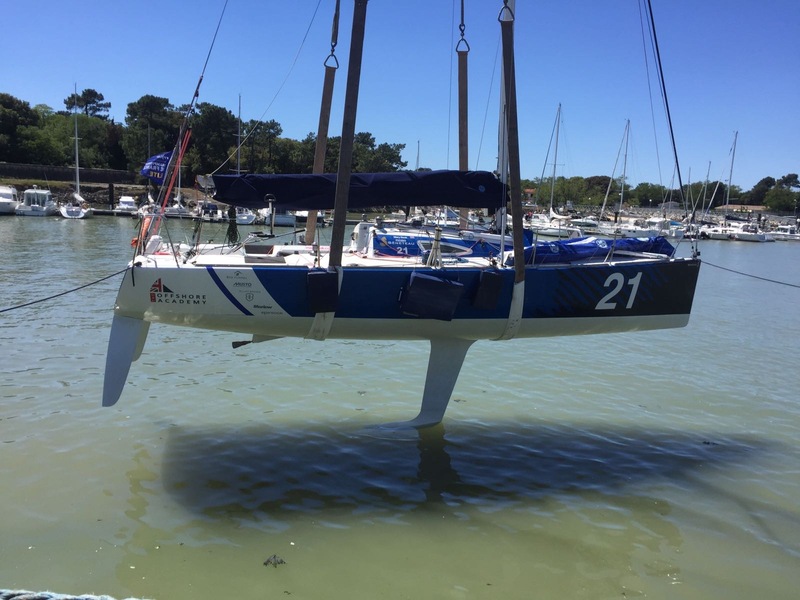 And that such disaster did happen to the Solitaire winner and multi Vendee Globe gent that is Yann Elise. Having just overtaken me, I watched as he parked the boat hard into a sandbank, all the boats on a similar course around him suddenly altered course to deeper water safety and we left him flapping and heeling over presumably with everything on the low side trying to slide off the bank, Later he had to resort to hoisting the spinnaker to pull the boat sideways enough to get it off the bank. Loosing miles in the process and scuppering his winning desires. But previous to this little error I was tacking up with Yann and he tacked right in front of me in port and I had to do a big avoid (big mistake by him) and he said ‘I’m so sorry Mary’ so now the great three time solitaire winner owes me one. As night fell the wind started to do crazy things, completely dying and leaving me in the middle of two groups one had gone low and faster and one had gone high and got into a new breeze. I lost a lot of positions. I then had a little incident with a rock. Knocking my confidence and a few more places. There are then another two days of racing with some ups and downs but basically concluding in the wind completely dying 3 miles from the finish, I could see the fish line and the port and basically smell the croissants but it was agonisingly slow and I did a lot of crying and wishing it was over. I kept my position despite my vision being obscured by tears and snot. There was a table of Rose at the finishing tent, best thing I have ever tasted. They gave us beautiful flowers that I managed to get home on the airplane. 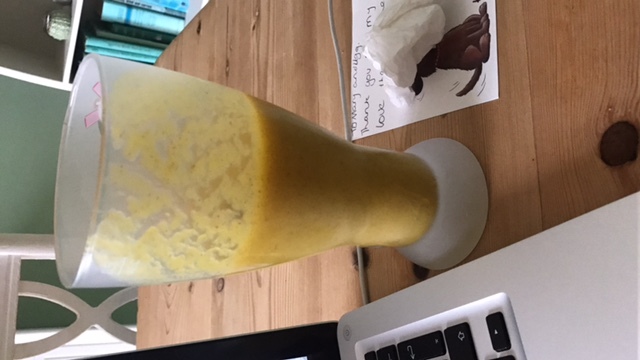 So then it was back home for a week or so and some catching up on healthy snacks like this yummy nutribullet creation. And before we knew it the team was reunited and back on the aeroplane to France. On landing we got stuck right in, donned the sperm suits and sanded our boats to make them silky smooth and rapidly fast. 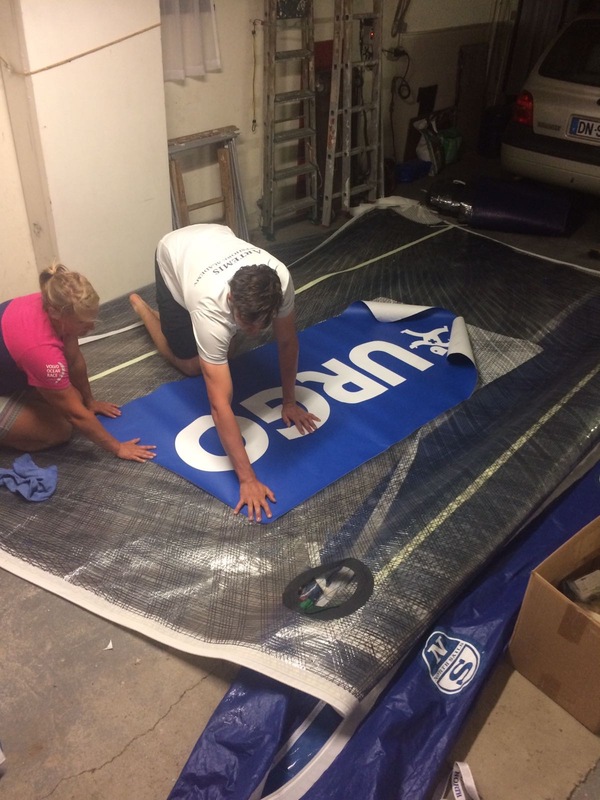 Two jibs each with two stickers on each side plus sponsor stickers on the mainsail and boat hull, we are officially great at encompassing air bubbles and not very proficient at stickering. In our spare time we did some beach prancing. And then we entered beautiful Bordeaux in the flotilla of 43 boats plus many support and spectator boats. Finding the banks lined with people all clapping and cheering with fireworks going off and the most incredible atmosphere. Here the boats reside right in the middle of the city with hundreds of people walking past us each day. I am finally famous! 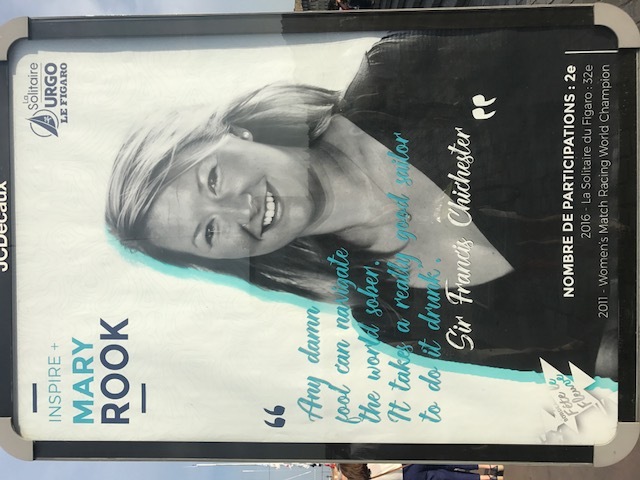 Billboards and posters up all around the city – however I didn’t quite anticipate when they asked us to fill in a media questionnaire with our favourite quote that it would be plastered all over here. So we have a few more days to perfect our bateau’s and eat our fill.